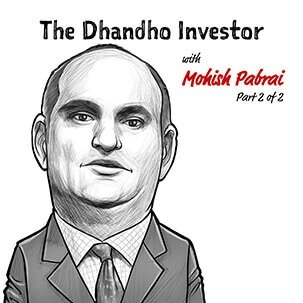 Mohnish Pabrai is the founder and Managing Partner of the Pabrai Investments Funds, the founder and CEO of Dhandho Funds, and the author of The Dhandho Investor and Mosaic: Perspectives on Investing​. 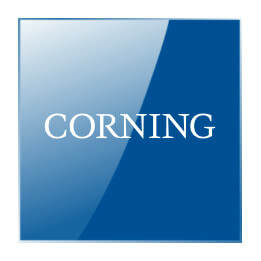 ​Corning, PulteGroup, Discover and Lear paid dividends totaling $1,950. Per our rules, Sonia reinvested those dividends back into the same businesses. I recently gave a talk to Prof. Bruce Greenwald’s "Legends of Value Investing" class at Columbia Business School entitled “Where have we been and where are we headed?” We discussed historical performance periods in the capital markets and lessons we can glean for our future.
. I very much enjoyed my Q&A session with the class of 2019 Dakshana scholars at JNV Kottayam, Kerala, India on Dec. 24, 2017. These scholars will take the IIT entrance exams in 2019. The majority are likely to be accepted by the IITs. Their questions covered a broad range of topics related to compounding, as well as the reasons behind our establishing the Dakshana Foundation. I enjoyed this video that summarized the Patels’ business practices from "The Dhandho Investor." The video explores how the Patels got into the motel business in the U.S, their low cost operating model and high return on equity. Heads I win, tails I don't lose much! (Note: the video is in hindi). ​Lowe's and Hackett Group paid dividends totaling $744. Per our rules, Sonia reinvested those dividends back into the same businesses. ​Note, anyone who invests in any strategy needs to do their own research/due diligence and are themselves fully responsible for the outcome. I very much enjoyed my chat with Niraj Shah of Bloomberg Quint for Alpha Moguls. We discussed the importance of sticking to one’s circle of competence, the advantage of auction-driven stock market investing and the prospects of investing in the real estate sector in Mumbai. I very much enjoyed speaking with Shai Dardashti of MOI Global for their Best Ideas 2018 session. We discussed philanthropy, the Dakshana Foundation and the influence that Buffett had on my founding Dakshana. The talk discusses the fundamental traits of a value investor and why it is important to focus on individual companies and not the whole market. 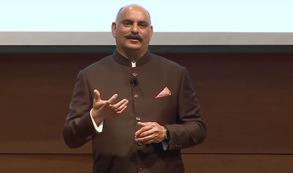 I also talk about the investing environment today and how it is similar to the period I started Pabrai funds in 1999. We also discuss Warren Buffett’s comments on Amazon and Google during the Berkshire shareholders’ meeting and if the large-cap tech stocks are overpriced. On December 22, 2016, I co-wrote an article in Forbes, "Move Over Small Dogs of The Dow, Here Come The Uber Cannibals" about an investment strategy called "The Uber Cannibals." with quant analyst Yingzhuo Zhao. There is not much to say about the above numbers. Three months is too short a period to draw any conclusions, but we are doing well so far. As a reminder, in our backtests, between 1992 and 2016, the strategy returned an annualized 15.5% versus the S&P 500’s annualized return of 9.2%. 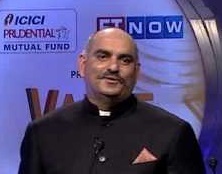 ​I very much enjoyed my fun conversation with Nitin Bajaj for The Industry Show. The interview was streamed live on Facebook, so it was great to answer some of the viewers’ questions live. 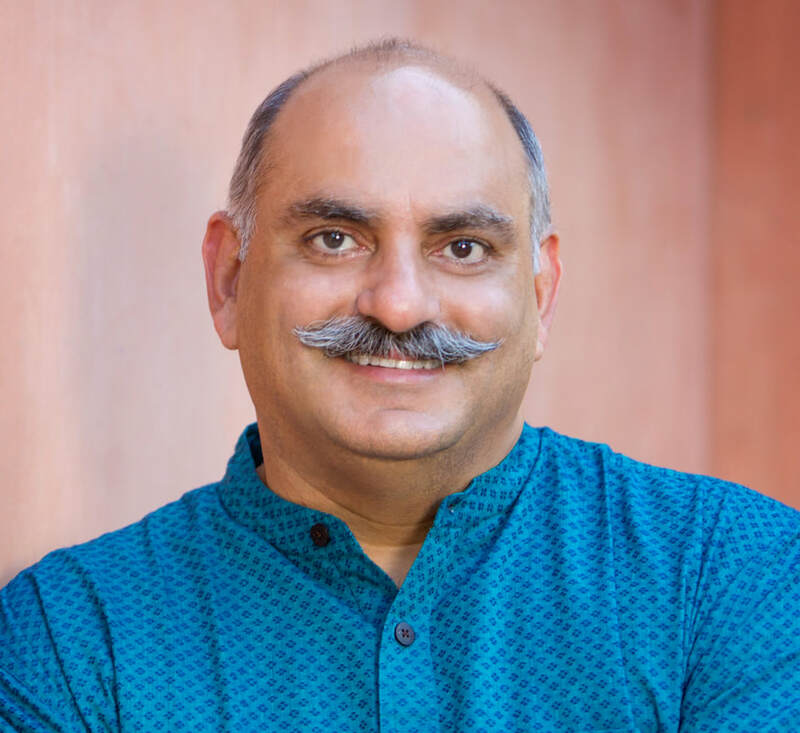 We discussed my childhood in India and the journey that led to my starting Pabrai Funds. We also reviewed the first investment I made for Pabrai Funds and some more recent investments, like Southwest Airlines. ​Here Come the Uber Cannibals! ​I very much enjoyed speaking with Steve Pomeranz for his “Great Investor” podcast series. I very much enjoyed this interview with Indian business news channel, ET NOW. I didn't realize they'd print it as well! I very much enjoyed my first ever talk to students in China. 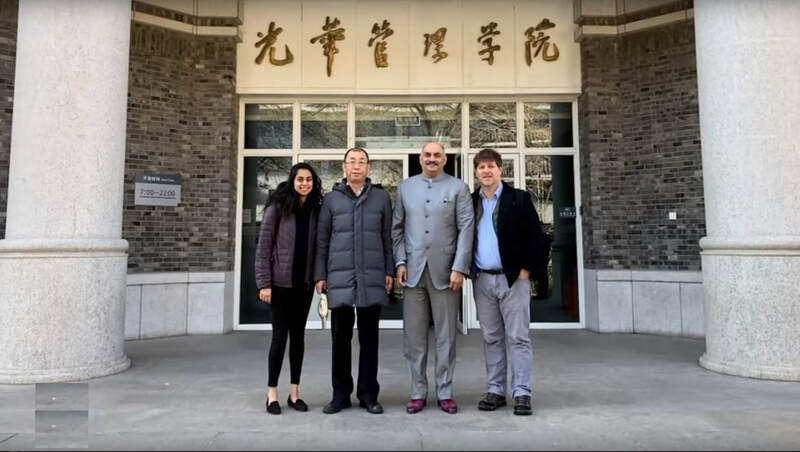 Peking University's Guanghua School of Management is the best of the best. Prof, Jiang Guohua's Value Investing Course is the first such course ever offered in China. This talk was sponsored by Himalaya Capital. Friends or relatives residing in India periodically ask me about how they can invest in the US equity markets. How can they invest in things like a ultra-low cost S&P 500 ETF or Berkshire Hathaway or Google etc. Well, it is not only possible, but quite streamlined. This means that a family of 4 can invest up to $1 million overseas in a given year. There are a few U.S.-based discount brokerages like Interactive Brokers, TD Ameritrade, Charles Schwab International Account through which Indian citizens residing in India can set up an account and trade U.S. stocks, mutual funds and ETFs. No US mailing address is required. Note that these accounts can be opened by citizens of most countries. In fact, Interactive Brokers has a specific account type that allows Indian Residents to trade overseas. To start an application click here. The application materials need to be sent via email to this address: newaccounts.in@interactivebrokers.com. Their customer service number in India is +91.22.6128.9888. The Director of Sales in India is Ankit Shah. His phone number is +91.22.6128.9836, and his email address is ashah@interactivebrokers.com. Interactive Brokers (IB) is one of my favorites. Not only can one trade US stocks at super low commissions with them, IB has made the most inroads into allowing global trading with some of the lowest frictional costs. Through a US Interactive Brokers account one can buy stocks in most of the major markets around the world. Thus, opening an account with them opens up far more than the US markets for Indian investors. While the Indian markets offer plenty of compounding opportunities, it is not a bad idea for Indian investors to have atleast a small portion of their assets allocated to other geographies. US brokers and ETFs have some of the lowest frictional costs on the planet. And us compounders know all about keeping frictional costs low. Note: I am not compensated in any way by any of the brokerages mentioned in this blog post. ​Spending less than you Earn - Learning from Mr. Money Mustache! Get an email when Mohnish publishes a blog post.